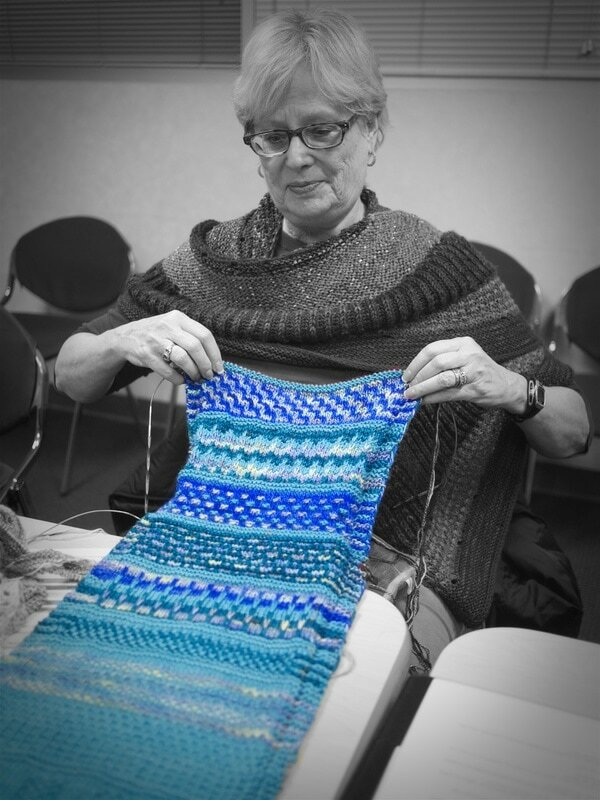 The 2017 Knerdy Knitters Knit-Along gives you the option to make a shawl, a scarf or a blanket while learning two to three different stitch patterns a month. By December, you'll have a custom-made creation for giving or keeping. 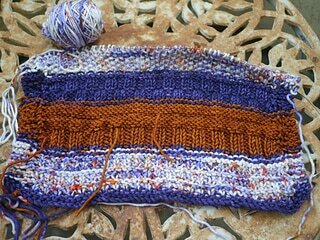 This project is best done in worsted or DK weight yarn in one or several colors. This is a great stash-buster. 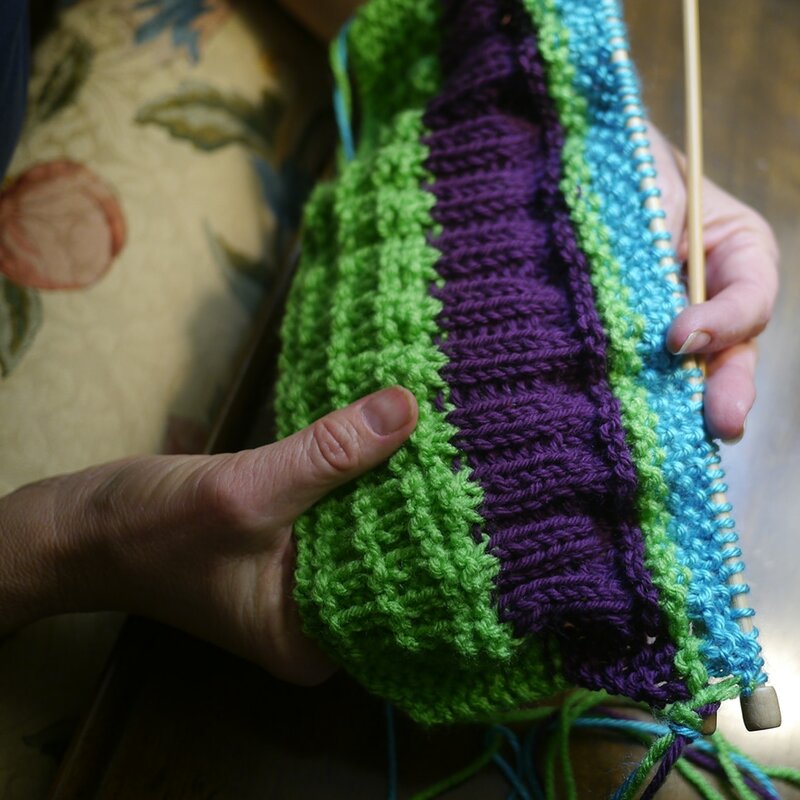 Plan on using needles at least one size larger than the yarn calls for to get good drape. March and April patterns for the Stitch Sampler Shawl. January and February patterns for the Stitch Sampler Shawl.